Zen philospher, Alan Watts' private library. Designed as a collaboration between Watts and Roger Somers, the influence of Japan as well as contemprary water towers is obvious. The interior walls, once lined with books, and center oculus, were a perfect location for meditative contemplation. 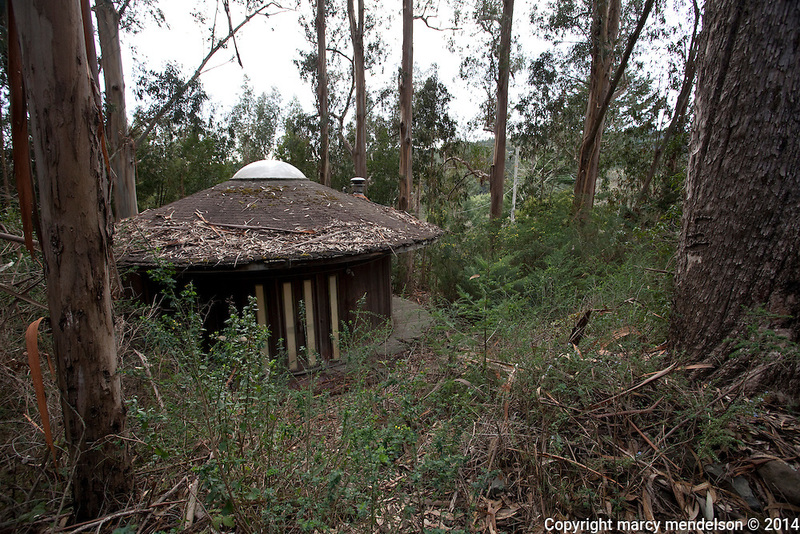 Watts' main home, the Mandala House, is just down the hill to the left, tucked into the eucalyptus groves. Without historic status, this house will be torn down by the National Park Service upon the last residents leaving Druid Heights.